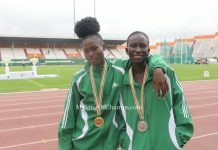 Emmanuel Gyang and Rose Akusho emerged winners of the men and women’s categories respectively of the 4th Warri/Effurun Peace Marathon concluded on Saturday in Warri, Delta State. 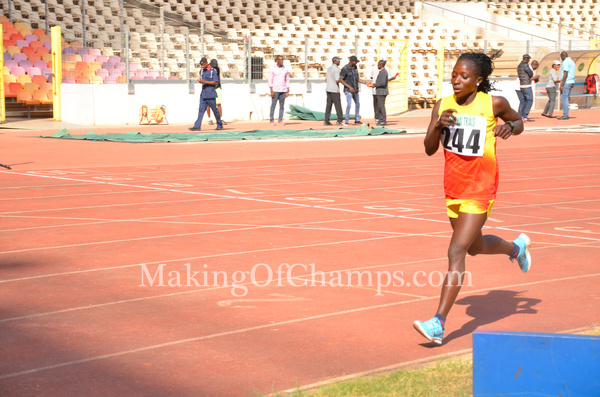 And so it was a battle between Mu’azu and Gyang right from the start, but Gyang pulled away with 500m to the finish. 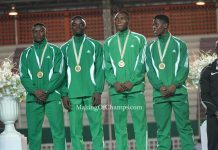 He breezed into the Warri Township Stadium, posting a time of 31:31s to win the 10km race. However, Mu’azu didn’t bow out without a fight; he finished in 31:50s, while Gideon Goyet finished 3rd with 32:37s. Stephen Apochi was the first Delta athlete to come in. In the women’s race, Akusho displayed awesome endurance. She was the clear leader from the start but ran out of gas with 50m to go. She rose to her feet and then tumbled down again just before the finish line. Akusho had to crawl on her belly to record 38:26s to win the N300,000 top prize. 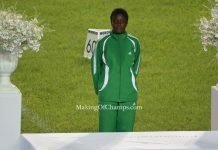 Elizabeth Nuhu was 2nd with 39:12s, while Monica Ezekiel Mandung was 3rd with 40:39s.